How to watch Mossad 101: Season 2 (2017) on Netflix Canada! 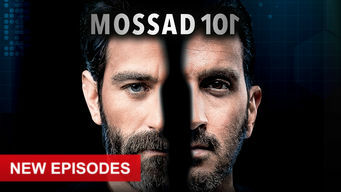 Yes, Mossad 101: Season 2 is now available on Canadian Netflix. It arrived for online streaming on July 11, 2018. We'll keep checking Netflix Canada for Mossad 101: Season 2, and this page will be updated with any changes. Cadets from every level of Israeli society undergo intense training to join their country's elite, highly classified intelligence service, the Mossad. They're training for a job that's top secret, highly demanding and often deadly. The dropouts may be the lucky ones. Season 1 of Mossad 101 has 13 episodes. Because different Netflix countries have different availability for episodes, you'll need to check the episode listing below to see which are available in Canada. When new Mossad recruits are plunged into a harrowing chase on their first day, psychologist Abigail worries course commander Yona has gone too far. As tensions flare at the casino, Avsha puts his special skill to use. At daybreak, the groups race to find a way to the well-fortified meeting spot. Sent out in the world to test their cover stories, the trainees face a string of unpleasant surprises. Meanwhile, Abigail pulls rank on Yona. While the trainees chat up guests and plant surveillance devices at a high-end hotel, Yona sets a trap for Abigail, and Doris pursues a hidden agenda. Sparks fly and friendships sour as the trainees secretly dig up dirt on each other during a mission. Yona makes a startling discovery about Abigail. Cadets turn on the charm to seduce a scientist working on a high-profile drug; a man with a violent past; and a target who's too familiar for comfort. When Yona calls the group in at night to root out an impostor in their midst, tempers flare and a cadet struggles to conceal a debilitating condition. While the cadets look for ways to destroy the life of an upstanding man, Yona sets in motion an elaborate plan involving an old friend from the CIA. 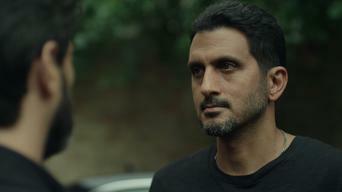 The Mossad cadets go head-to-head with Shabak trainees in a kidnapping exercise. Doris seizes a golden opportunity. A familiar face plots revenge. A dangerous game of cat and mouse unfolds across the city as Max takes the next step in his war against Yona. Teams of cadets set out to "assassinate" two paranoid criminal masterminds. Meanwhile, a classmate's long absence begins to raise eyebrows. The trainees slip into Bulgaria under assumed names for a tricky assignment. Yona promises to reveal what really happened in the botched mission. As the course draws to a close, the trainees grow more convinced of Yona's guilt and vow to use their new skills to expose him. Season 2 of Mossad 101 has 12 episodes. Because different Netflix countries have different availability for episodes, you'll need to check the episode listing below to see which are available in Canada. 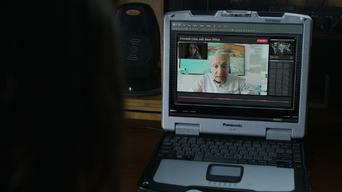 In Kiev with three recruits, Yona keeps close tabs on Doris and Aaron. Meanwhile, the newly freed Liron Hariri sets out to avenge his father's death. As Liron watches for a chance to strike, the chief gives Yona an unsavory assignment, and Amy contacts the accountant who met with Doris and Aaron. 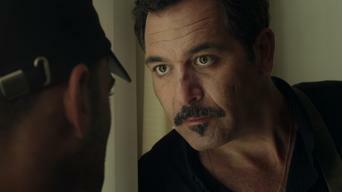 Liron makes a move on the safe house but finds a surprise waiting for him. As Abigail arrives in Kiev, she's drawn into a tense standoff. With tensions running high at the house, Yona sends Mitzi to a brothel, Abigail goes undercover, and the trainees make a fatal mistake. 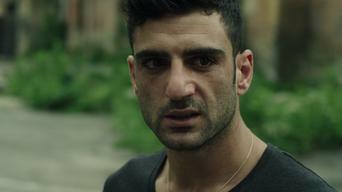 The search for Abigail leads Yona and team to an Islamic State group member. As Liron embarks on a secretive mission, Kotel hatches a plan of his own. 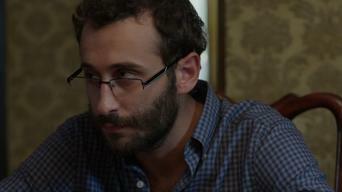 While a drugged Abigail begins to hallucinate, Gilad works to earn al-Hamdi's trust. Liron offers Tobi a deal. Mitzi proves surprisingly useful. His cover at risk, Gilad draws on a key lesson from training. After sending Liron out with Amy and Tobi, Yona plays mind games with Mitzi and Kotel. Yona finally tells his team the whole truth -- just as a cleanup crew swarms the house. Mitzi tries to unload the drugs. Gilad seizes an opportunity. 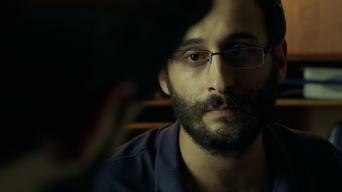 While Abigail meets with a figure from her past, an intercepted message sends the rest of the team scrambling to help Gilad. Rocked by a tragic turn of events, Yona leads the team on an unusual mission. Meanwhile, the chief takes Abigail to a secret facility for questioning. After grilling Micha about Atlas, Yona and Abigail demand answers from the chief. Liron sends Mitzi to deliver his decision to Uncle Azaria. As Sever rushes to cover his tracks, Liron and Kotel take the captives to the warehouse at the docks, where a deadly scene unfolds.